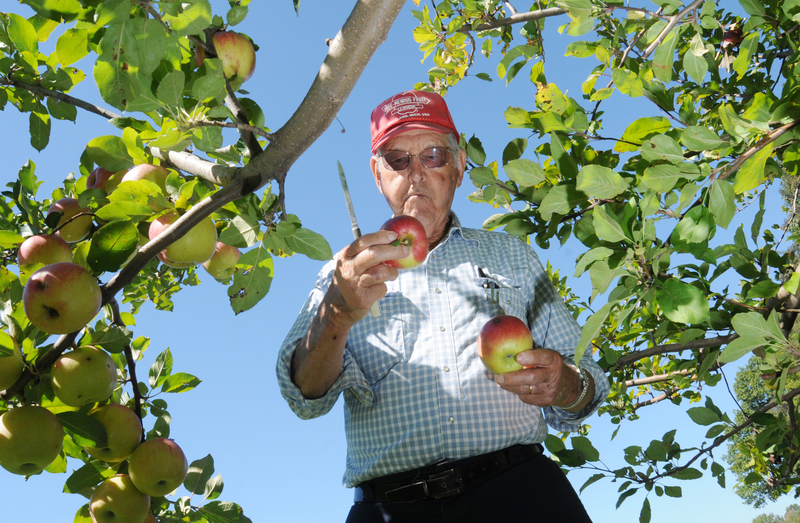 EAU CLAIRE, Mich. (AP) — Agricultural tourism pioneer Herb Teichman, who founded a cherry pit-spitting competition in southwestern Michigan that attracted international attention, has died at the age of 88. Teichman and his wife, Liz, owned and operated Tree-Mendus Fruit Farm near Eau Claire. He opened the farm for pick-your-own fruit harvests and in 1970s started the International Cherry Pit Spitting Championship . The “Pit Spit” became a popular attraction and the 45th annual event was held last summer. The South Bend Tribune reports Teichman’s death followed a short illness. Lynnell Sage told the newspaper her father “liked seeing other people enjoy the farm” and “wanted to share the beauty that is here.” Funeral services are scheduled for Saturday.